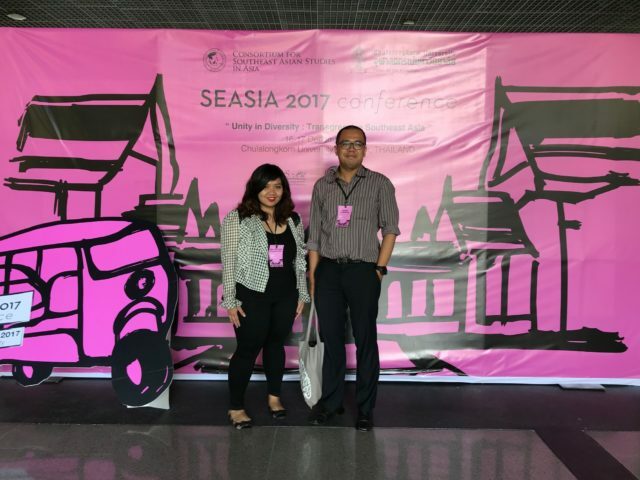 Ratu Ayu Asih Kusuma Putri, Deputy Head of International Relations Department, BINUS and Geradi Yudhistira, faculty member of the Indonesia Islamic University again presented their paper on satire comedy and politics at the SEASIA 2017 Conference under the theme “Unity in Diversity: Transgressive Southeast Asia”, Chulalongkorn University, Bangkok, from 16-17 December 2017. SEASIA conference is an annual event organized by the Consortium for Southeast Asian Studies in Asia. Being one of the leading area-studies institutions in the Asia region, the primary objective of this Consortium is to promote region-based Southeast Asian studies. The year 2017 also marked Chulalongkorn University’s 100th anniversary in which the conference invited the Princess of Thailand to close the conference and be part of the centennial celebrations. Invitation to "Taiwan's New Southbound Policy and Young Leader Programs"